From the makers of Palusami Restaurant, comes a new restaurant with a fresh concept, but maintains the same commitment to great food and service. 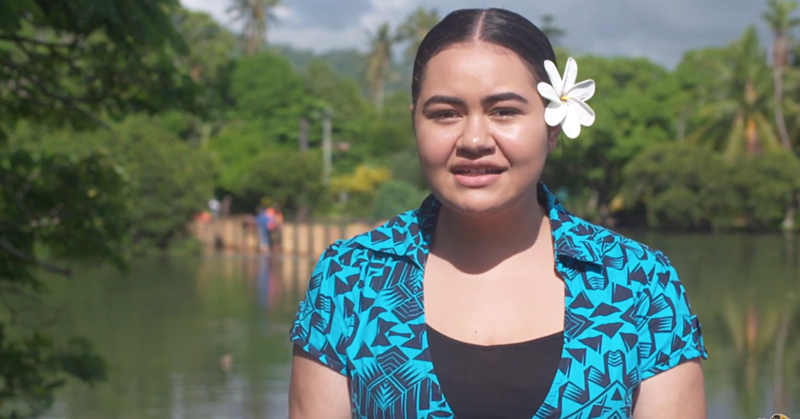 Located in Moto’otua, the four-week-old Mi Amor Restaurant specialises in smoked barbeque dishes made with mostly local meats with some added throw back dishes to keep their Palusami fans happy. 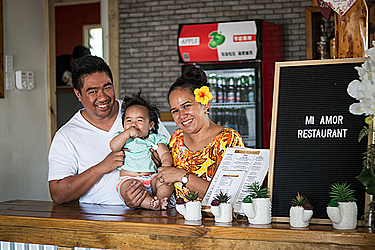 Owners, Jesse Jr. and Vaimoana Hunt-Lee said while renovating their restaurant this year, they opened a small take-away barbeque joint on the same property and found that their smoked meats barbeque was a hit with their customers. It also helped that Jesse smokes his meats with a smoker he built himself and he said the locals loved that there was no extra charge for that service. Deciding that they had come into a good thing, their current menu is a meat lovers’ dream and the beef ribs served alongside thick cut taro chips and tempura vegetables is their most popular dish. The portions are generous. Chef Jesse, who did his cookery training in New Zealand, says they plan to add a steak night once a week to their schedule and that their menu is purposely limited to a few select dishes to ensure that they focus on creating quality dishes rather than being spread out thin with a wide selection. With the exception of one, all steaks are locally sourced and Jesse says they are working with a local butcher to provide their steaks a few days in advance so they can be tenderised before cooking. 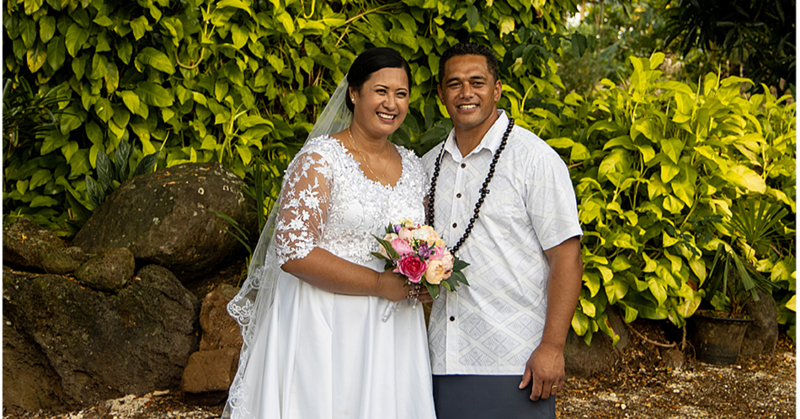 Naming the restaurant was no easy task especially since the couple still has the dream to expand and re-open Palusami restaurant at the end of the year. 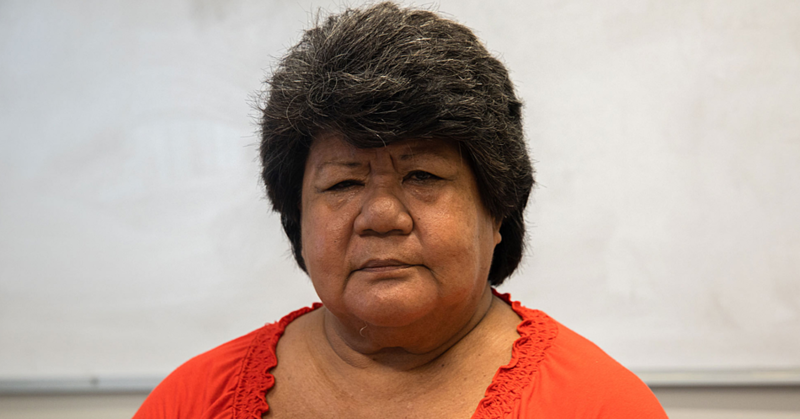 According to Vaimoana, four hours before the restaurant opened a brainstorming session with her mother and sister produced the official name of the restaurant. Wanting to honour their present journey, the name “Mi Amor” encompasses all the love that fuels their joint ventures from their daughters to their shared passion for good food. The family friendly restaurant is open from Tuesday through to Saturday.